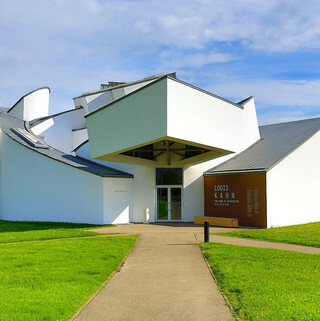 Until 11 August 2013 the Vitra Design Museum shows the exhibition »Louis Kahn – The Power of Architecture«. The American architect Louis Kahn (1901-1974) is regarded as one of the great master builders of the twentieth century. Kahn created buildings of archaic beauty and powerful universal symbolism, with complex spatial compositions, an elemental formal vocabulary and a choreographic mastery of light. Curator Jochen Eisenbrand offers a guided tour of the exhibition, explaining the background of Kahn’s work and answering questions.